The National Institutes of Health (NIH) has reported that four out of every five U.S. adults will use prescription medicines, over-the-counter drugs, or dietary supplements of every week. The NIH also reports that nearly one-third of American adults will take five or more different medications each week. 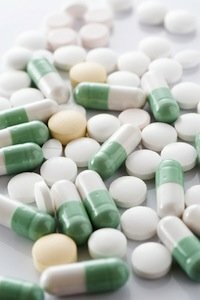 Medication and pharmaceutical errors causing injury or death are common and costly to the nation, according to the NIH. As patients, we put our faith in our physicians, hoping that they will prescribe the proper medications and drugs. Sometimes doctors make mistakes when ordering medication. Pharmaceutical errors can lead to allergic reactions, severe adverse reactions, organ damage or even death. Almost always these pharmaceutical errors could have been avoided. Kreisman Law Offices has extensive experience working with patients who have suffered injury or death from a medication or pharmaceutical error, also known as an adverse drug event. We have helped clients who have received the wrong medication or an incorrect dosage as prescribed by a physician or administered incorrectly by a pharmacist or other health care professional in a hospital setting. Failure to take an adequate history of current medications and then prescribing a new medication that is contraindicated. According to the Institute of Medicine (IOM), more than 7,000 deaths occur in the United States each year because of medication errors. The IOM reports that mistakes occur at many places in the medication-use system, from prescribing to administering a drug in a variety of settings (hospitals, outpatient clinics, nursing homes or home care). The U.S. Food and Drug Administration and the Institute for Safe Medication Practices launched a nationwide campaign in 2006 that was designed to reduce the number of mistakes caused by the use of unclear medical abbreviations. Both agencies said the most common mistakes occur when a pharmacist or other health care professional incorrectly reads a prescription written by a doctor. For example, the letter U is often misread as a 0, IU is misread as IV, or a decimal point is missed. Another common error is when a dispensing pharmacist confuses medications with similar sounding names, such as Zantac and Zyrtec, the FDA said. A 2010 study conducted by the National Center for Biotechnology Information found that half of all adverse drug events, or medication errors, were preventable. The study found that 2 percent of all outpatients experience medication errors. Also, 1.6 percent of inpatients suffer from medication errors. The Center reported that medication mistakes are expensive: An adverse drug reaction may cost up to $2,500 in hospital resources, and this does not include the costs of litigation. Some medication errors, dietary supplements and contraindicated drugs can cause organ failure including, liver, heart, lung and kidney damage and other serious side effects. For more than 40 years, Kreisman Law Offices has been handling pharmaceutical error lawsuits for Chicago, Cook County and surrounding area and Illinois residents. We believe that your pharmacist, physician and nurses are obligated to prevent pharmaceutical errors and ensure that you receive the proper medication and dosage. If you, a loved one or someone you know have been a victim of a pharmaceutical error, our experienced attorneys and medical experts will ensure that you obtain justice. If you or a loved one has been affected by a pharmaceutical error, you could have a claim for damages. The Chicago lawyers at Kreisman Law Offices will fight for justice against those whose negligence led to the harmful pharmaceutical errors. Please call us 24 hours a day at 312.346.0045 or toll free 800.583.8002 for a free and immediate consultation or complete a contact form online.